High Country Safaris take pride in offering the very best safaris for free range hunting for all species of the South Pacific. Red Stag , Fallow , Chital , Rusa , Buffallo , Banteng , Scrub Bull ,Tahr , Chamois , Sika , Sambar , Goat & more. Queensland Red Stags are our passion. Northern Territory is also a favourite destination for record book trophy’s. 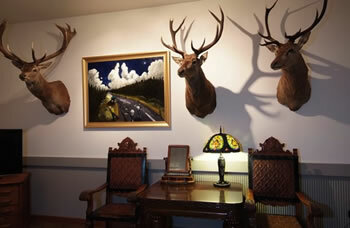 We also offer the hunters paradise in New Zealand. We work in with the very best New Zealand outfitters, Southern Hunting Safaris Ltd offering the best free range hunting New Zealand can provide. We offer outstanding ranch hunts for that special trophy in Australia & New Zealand. ceptional hunt with our experienced team. Come hunt with us & leave a friend forever.